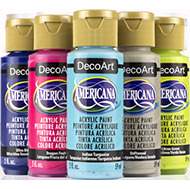 Access our color charts and color checklists for the main DecoArt product lines. Download and print the PDFs for easy reference while shopping or working on your projects. 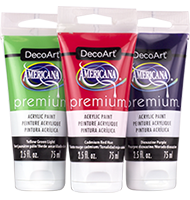 Learn more about Americana Acrylics. 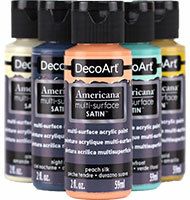 Learn more about Americana Multi-Surface Satin. 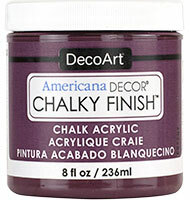 Learn more about Americana Decor Chalky Finish. 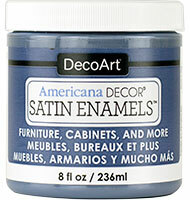 Learn more about Americana Decor Satin Enamels. 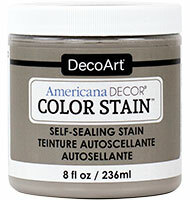 Learn more about Americana Decor Color Stain. 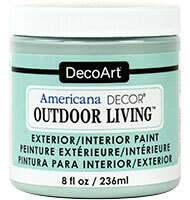 Learn more about Americana Decor Outdoor Living. 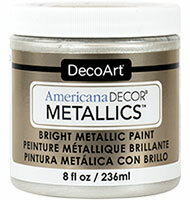 Learn more about Americana Decor Metallics. 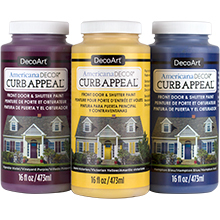 Learn more about Americana Decor Curb Appeal. 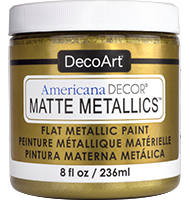 Learn more about Americana Decor Matte Metallics. 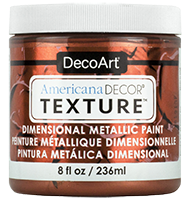 Learn more about Americana Decor Texture. 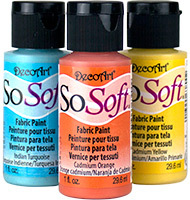 Learn more about DecoArt Media. Learn more about Americana Premium. 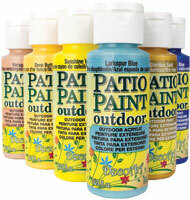 Learn more about Patio Paint Outdoor. 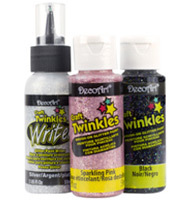 Learn more about Craft Twinkles. 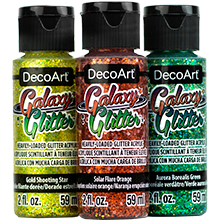 Learn more about Galaxy Glitter. 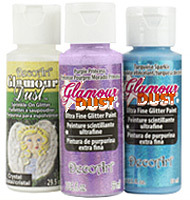 Learn more about Glamour Dust. 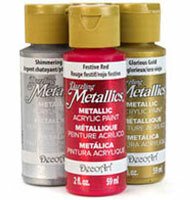 Learn more about Dazzling Metallics. 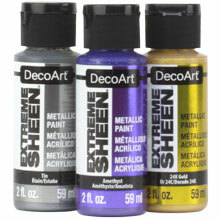 Learn more about Extreme Sheen. 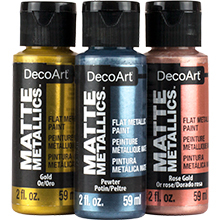 Learn more about DecoArt Matte Metallics. 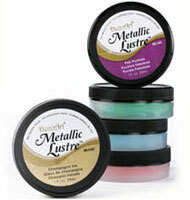 Learn more about Metallic Lustre. 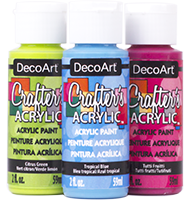 Learn more about Crafter's Acrylic. 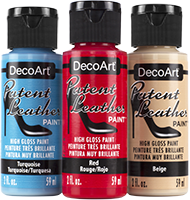 Learn more about Patent Leather. 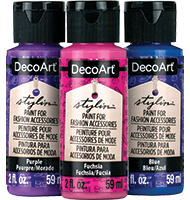 Learn more about DecoArt Stylin. 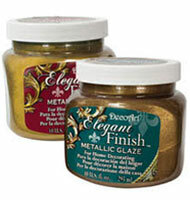 Learn more about Elegant Finish. 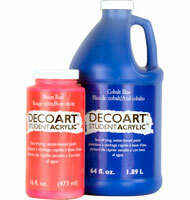 Learn more about Student Acrylic. 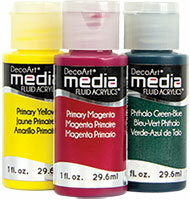 Learn more about Americana Gloss Enamels. 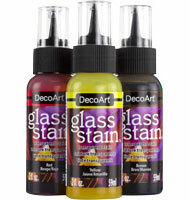 Learn more about DecoArt Glass Stain. 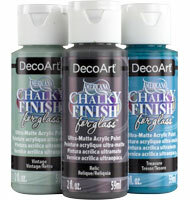 Learn more about Americana Chalky Finish for Glass. 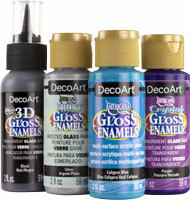 Learn more about DecoArt Glass Paint Marker. Learn more about DecoArt Team Spirit Writer. 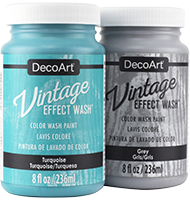 Learn more about Vintage Effect Wash.